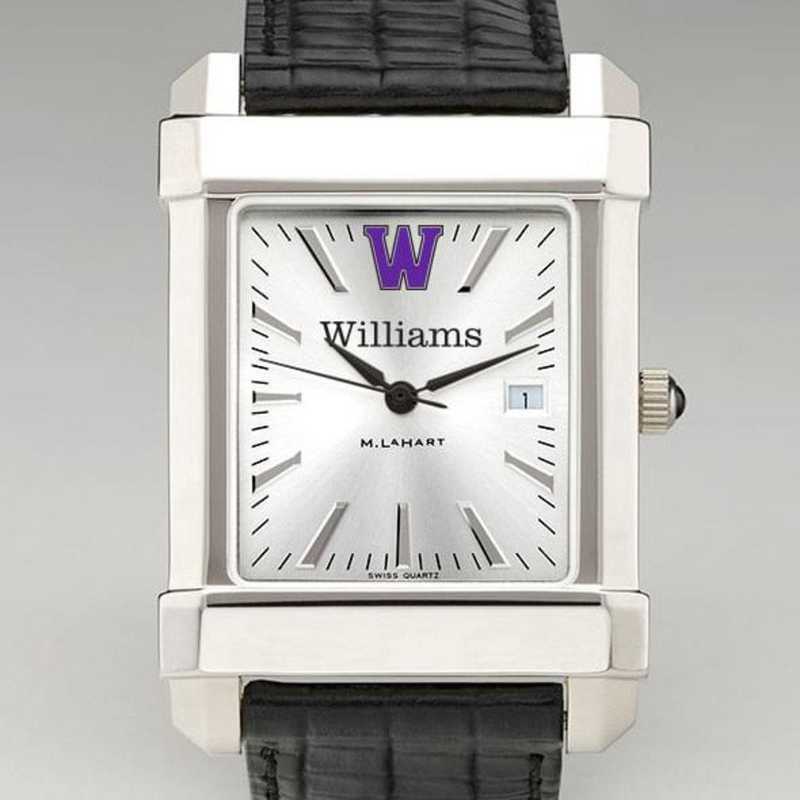 Williams College Men's Collegiate Watch with Leather Strap by M.LaHart & Co.
Give your dedicated fan the gift of official sports gear from our NCAA and college Shop. Williams College men's steel watch featuring the Williams logo in full color on our sophisticated new dial with a sunray brushed metallic finish. Swiss-made quartz movement with 7 jewels. Sunray brushed metallic dial with hand-applied, faceted markers and date window. Stainless steel case with Swarovski black crystal cabochon. Scratch-resistant sapphire crystal. Water-resistant to 30 meters. Three-year warranty. Black Italian leather strap. Attractive M.LaHart signature gift box. Officially licensed by Williams College. Manufactured direct from a trusted supplier. You're reviewing:Williams College Men's Collegiate Watch with Leather Strap by M.LaHart & Co.